We left the apartment and watched him through the window. The second we shut the door he runs to the bathroom, grabs the end of the tp and unravels the whole roll. Then he eats it. He’s gotta stay busy while you’re gone. Maybe you should add the premium movie package to your cable package so he’s got something good to watch while you’re gone. 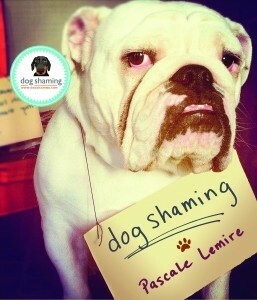 I love the title. Makes me wish I could have witnessed it. 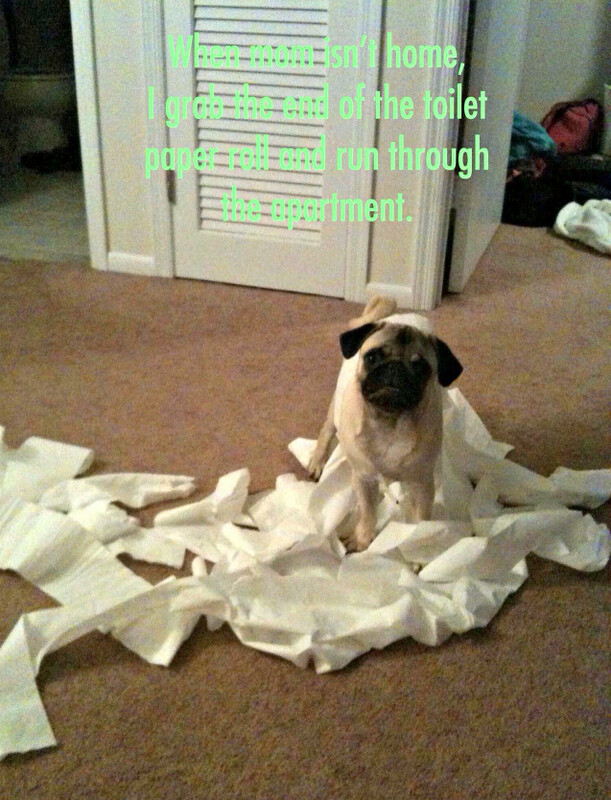 Oh, pugs just kill me – so mischievous! Look at that face. My hubby and I haven’t had toilet paper in the proper spot for 3+ years. 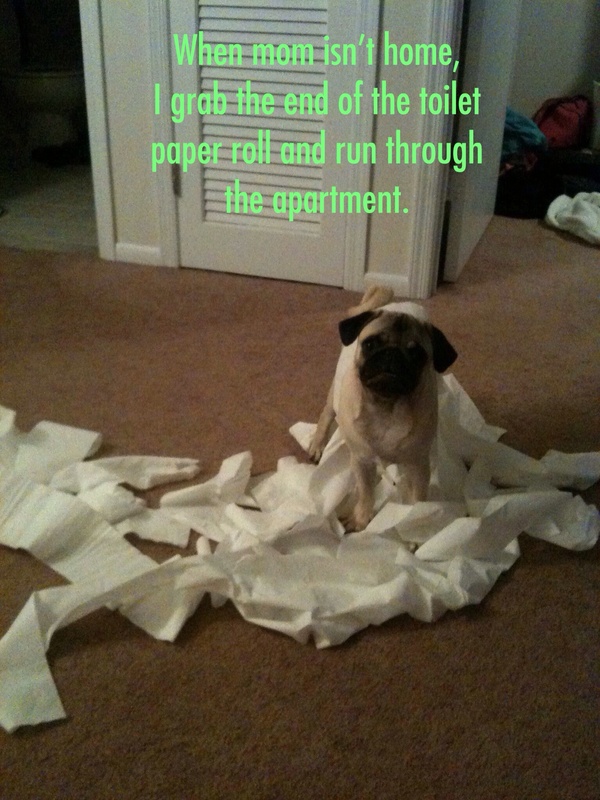 My pug Shredder does exactly the same thing. He’s definitely lived up to his name! !